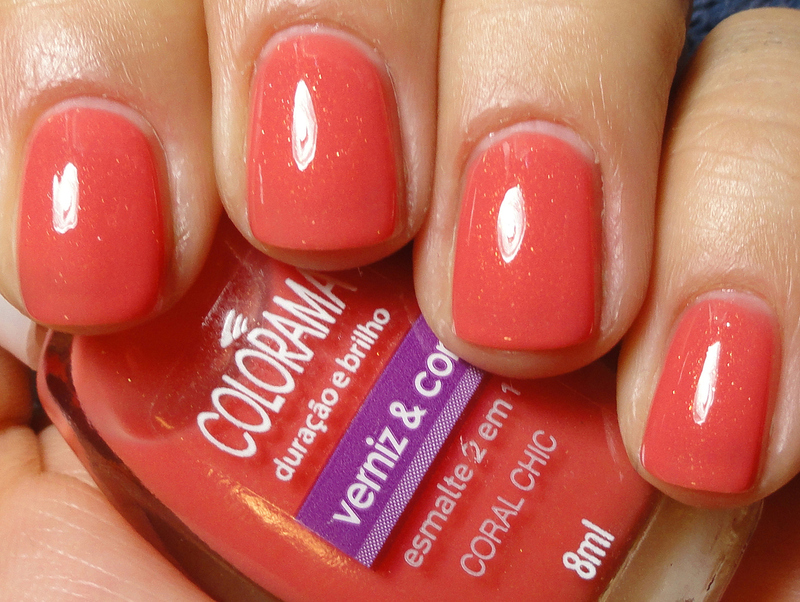 I have another lacquer from Brazil to share with you today! 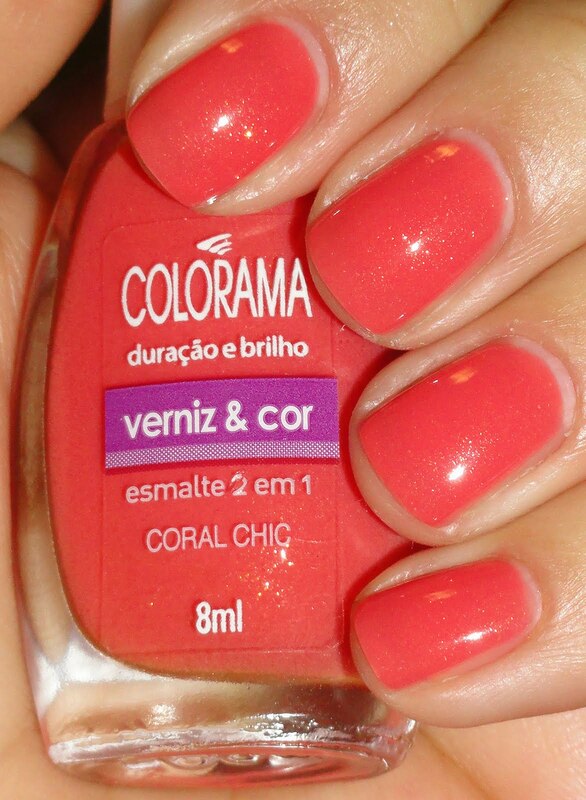 This is Coral Chic, a STELLAR present from my girl Sarah B. from Them Pretty Colors. She honestly chose the most amazing collection of colors for our swap, I can't get over how much I love all of them! (And I'm getting some more from her soon *sqee*!) This orange blush coral jelly is a gorgeous sheer that builds to opacity nicely in three coats with spectacular gold sparkle. It just screams SUMMER!